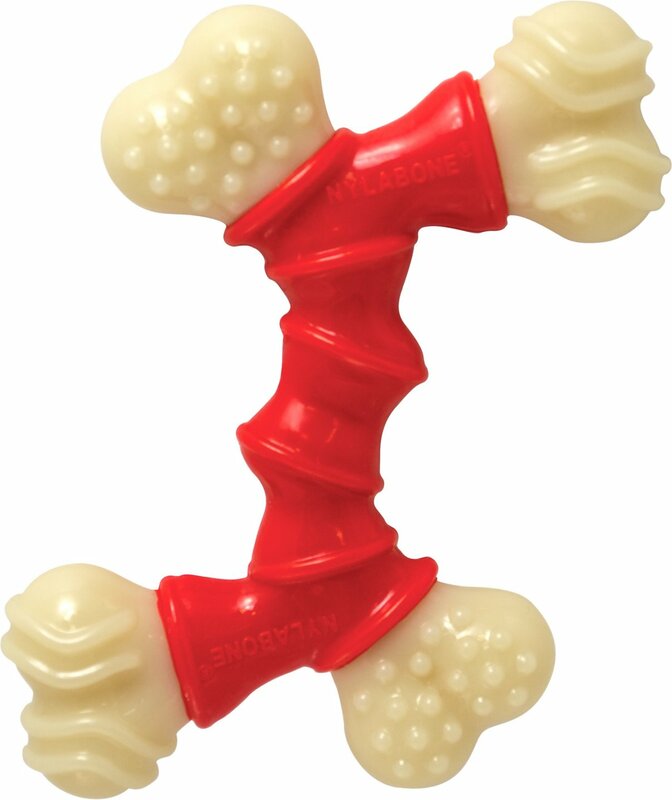 Finally found a chew toy my dog loves and can't destroy immediately. My dog is a heavy, heavy chewer. We've gone through so many things trying to find something he doesn't turn his nose up at or destroy within an hour. This fits the bill. I couldn't get it out of the package quick enough. He loves it and despite the fact that he chews on it every day, it has held up very well and really at this point doesn't show much damage. We've had it now for about 3 weeks. A real keeper! 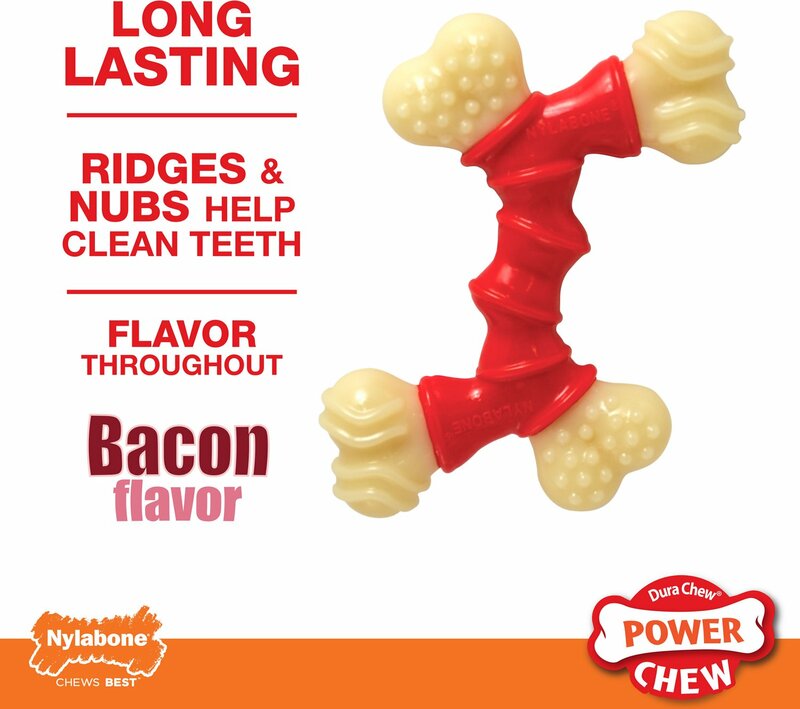 Nylabone to the rescue again. Our 75lb lab destroys EVERYTHING. 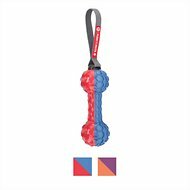 Even super chewer “tough” toys. He likes this Nylabone... prances around with in his mouth with his nose in the air. He has definitely put a lot of scratches and dents in it, and it is SHARP, but he chews away. So far it’s holding up to his mass destruction. Lasted less than 24 hrs. Opened the package at 7pm on Friday. By 1 PM on Saturday the bone was in 2 pieces. And the bone was not with the dog during the night. So it was about 6 hours play time. (Off and on) For the price, it should have lasted a lot longer.